Jay Christopherson, our Forum admin and dedicated F-Open shooter, recently ventured to the “dark side”, crossing disciplines and trying his hand at F-TR, shooting off a bipod. Jay wasn’t using just any old F-TR rig. He used a purpose-built rifle, designed to mimic the handling of his Open rifle. With this rig, Jay won two of the three matches he’s shot in, including the F-TR division at the Washington State Long Range Championships. Jay’s last 600-yard match featured two clean scores with excellent X-Counts, including a 200-13X and a 200-15X (one off the national record) for a total score of 599-36X. 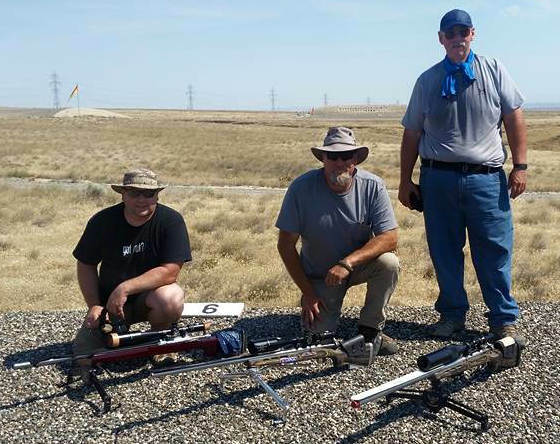 The 2015 Washington State Long Range Championships was held at the infamous “Rattlesnake” range in Richland, WA, which has some of the most challenging wind conditions in the USA. 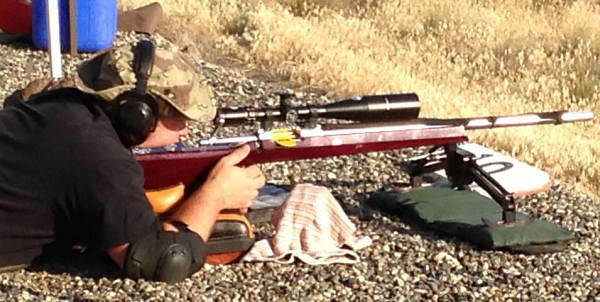 At the LR Championships, shooting his .308 Win F-TR rig, Jay was right up there with the F-Open shooters. Until the final relay, Jay was within three points of the overall F-Open leader, and still finished second overall in X-Count and score. This demonstrates the capability of a state-of-the-art F-TR rig. In this story, Jay describes his F-TR rifle and set-up. Knowledgeable readers will recognize that Jay’s gun is similar to John Pierce-built rigs successfully fielded by Michigan F-TR Team shooters. I originally decided to build a F-TR rifle to shoot at local mid-range club matches. I keep burning through F-Open barrels (and components) because I shoot a lot more local club matches than “big” matches – maybe 2:1 or 3:1. The end result is that I’d be endlessly tweaking loads and burning up barrels and I just got tired of it. The endless tweaking also caused me some trouble at large matches and I thought shooting a .308 Win would be more “relaxing” from a technical point of view. It’s a very well understood round at this point. I’d been kicking around the idea of shooting F-TR for a couple of years, but I didn’t want an F-TR rig that handled completely different than my Open gun. I didn’t want to learn different habits from a different stock or position that would cause issues on race day. I use a Terry Leonard/Speedy Gonzales designed F-Class Open stock that is designed more along benchrest lines than the traditional prone stocks you see most F-Class shooters using. I don’t like to use any hand grip at all and my preferred position is very light pressure into the shoulder and just enough cheek touch to index. So, when I saw Eric Stecker at the 2014 Berger SWN (and later Bryan Litz) shooting an F-TR rig that was designed along the same lines, I decided to get serious about it. The stock is a Scoville carbon-fiber-over-balsa model set up for a Panda action (which I had on hand). This stock is extremely stiff and stable. I purpose-built the rifle to shoot 215gr Berger bullets and I knew that I would keep my velocity relatively low-ish – in the 2500+ fps range. If I ran those 215s much faster, the recoil would become an issue for me. I bought and chambered a Benchmark 1:9″-twist barrel, in a heavier-than-normal contour. This was finished at 28″. I custom-throated the chamber with a PTG .30 Cal Uni-Throater to accommodate the longer-than-normal OAL I wanted. I modified my Phoenix bipod based on some of the pictures I’ve seen of John Pierce’s modifications and after talking to John at the 2015 Berger SWN. I sure do appreciate how open he is with the modifications he’s done. I doubt I would have thought of putting together a rifle like this without his example. From the get-go, this F-TR rifle has been a shooter. It handles extremely well, and recoil is not a problem at my velocities. The 215s still maintain a significant wind advantage over the more usual 155gr and 185gr bullets at long distances. 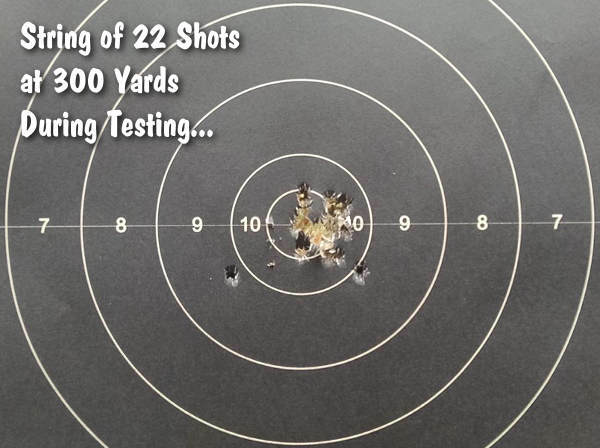 Ballistics Performance is not quite in the same class as the 7MM 180gr bullets I shoot in my F-Open rifle, but not that far off either. Below is a 300-yard target shot while proofing my load in preparation for 600-yard matches. I decided to shoot a “match” string (2 “sighters” + 20 “record” shots). Looking at this target, I’m thinking that if I had clicked left one or two clicks, this might have been a 200-20X. 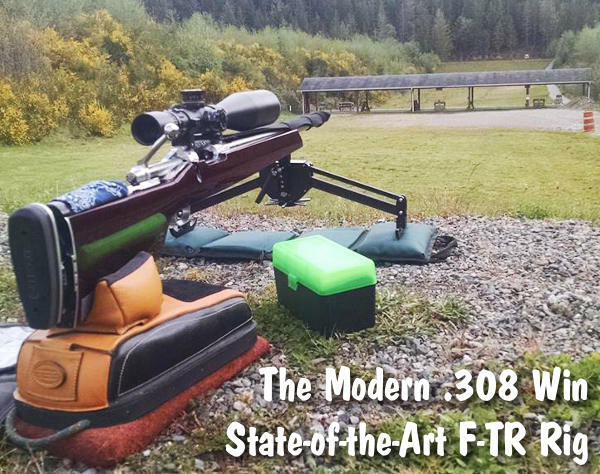 I’ve shot three matches with my F-TR rifle now, two 600-yard club matches and the WA State Long Range Championships at the infamous “Rattlesnake” range in Richland, WA. The LR Championship was the first time I’ve shot the rifle at long range. At the 600-yard club matches, I’ve had several “cleans”, including a 200-13X and a 200-15X (finishing 599-36X at the last one, which is just within my normal Open scoring range). At the WA State Long Range Championship, I managed to win the F-TR division in extremely hot conditions (100+ degrees over two days of shooting) and managed to post the second highest X-count and finish second overall among all F-Class shooters (F-Open and F-TR combined). I was “in the running” for the overall win until the last relay. I still plan to shoot my Open rifle at “big” matches, but I doubt I’ll be able to leave the F-TR rifle in the safe for all of them. My reference to the “dark side” is an inside joke between myself and another shooter. I kept saying that shooting F-TR was just for fun… that I wasn’t taking it too seriously. However, the more I shoot F-TR, the deeper into the “Dark Side” I seem to fall. F-TR is a different animal than F-Open (I use a Nascar vs. Formula 1 analogy), but it’s addicting. And not having to carry 30 pounds of front rest doesn’t make me sad when I’m traveling! Top Three F-TR shooters at WA State Championships: Jay Christopherson (Winner), Monte Milanuk (second), and Laton Crawford (third). Share the post "F-Open Shooter Turns to the “Dark Side”… F-TR Competition"
One great thing about TR is that the exaggerated drift relative to Open sharpens wind calling skills. The rifles also remain practical for the original purposes of rifles. There’s no question that obtaining Long Range high master classification with a Target Rifle requires the most skill in the NRA F-Class classification regimen, despite the fact that it won’t be differentiated from Open on the card or records.